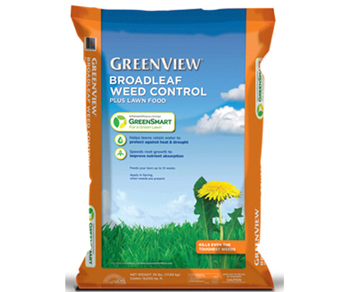 GreenView Broadleaf Weed Control Plus Lawn Food With GreenSmart - 15,000 sq. ft.
GreenView Starter Fertilizer is an eco-improved fertilizer with GreenSmart. GreenView with GreenSmart products increase the efficiency of nutrient absorption to promote deeper, stronger roots to help grow a healthy, vibrant green, drought-resistant lawn. Kills even the toughest weeds. Available in 5,000 and 15,000 sq. ft.